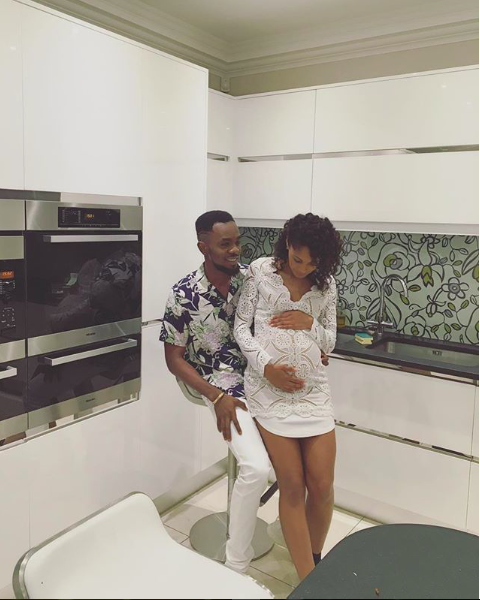 Looks like Nigerian singer Patoranking may have officially joined the league of celebrity baby daddies. He just shared a gorgeous photo of a heavily pregnant girl, resting on his thighs on his Instagram page. His followers are out here congratulating the singer with many questioning why he didn't hook up with a Nigerian girl instead. Paroranking used to date a woman called Leila but the two broke up last year. Big congrats to them.